Start with the mustache, the double-sided tape, and a small, sharp pair of scissors. Remove the backing from the tape. 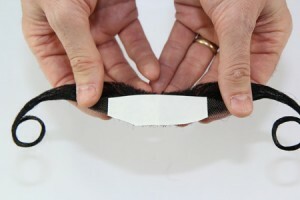 One side of the tape backing should be split into two pieces, and the other should be one large piece. 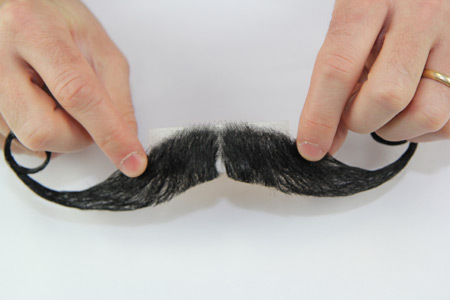 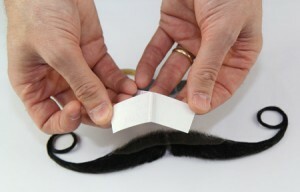 Remove the backing which is not split, and retain the backing you just removed, to store the mustache between uses. 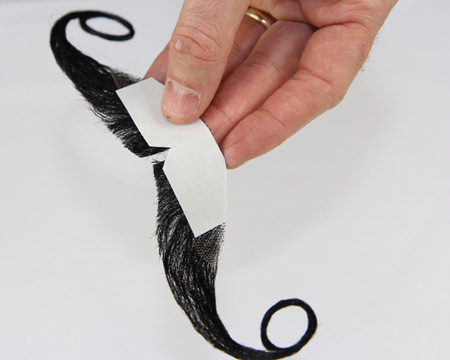 Carefully apply the tape to the mesh on the back of the mustache. 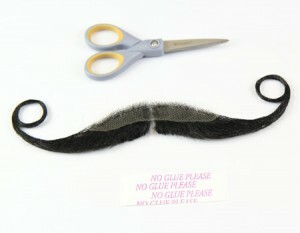 Be sure it is centered, and that the top of the tape aligns with the top of the mustache. 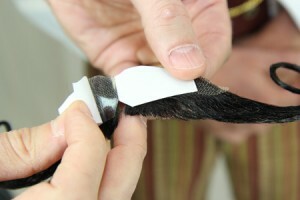 Following the line of the mustache, carefully trim away the excess tape and mesh backing. Depending on the mustache style, you may need to trim away excess tape and mesh below the mustache as well. 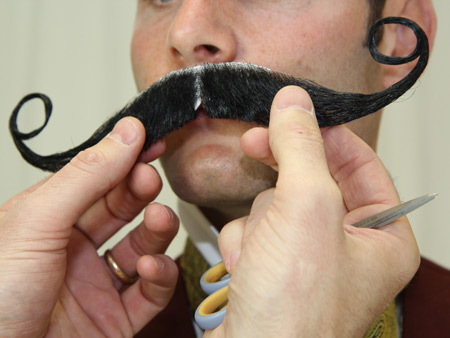 Trial-fit the mustache to the wearer’s face, to see any adjustments that need to be made. 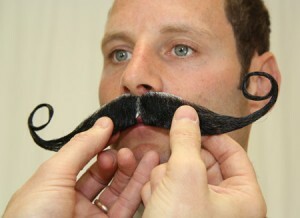 It helps to have a friend or gentleman’s gentleman help with this step. 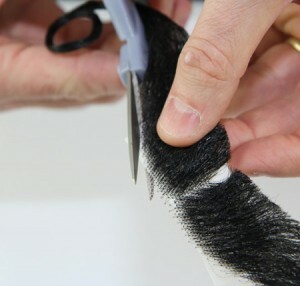 Trim away the top of the mustache, to follow the curve of the wearer’s nose and upper lip, as well as any final adjustments for a comfortable fit. 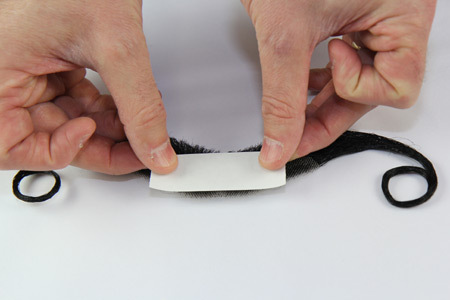 Peel off the backing and affix to the wearer’s face, which should be clean and dry for best results. 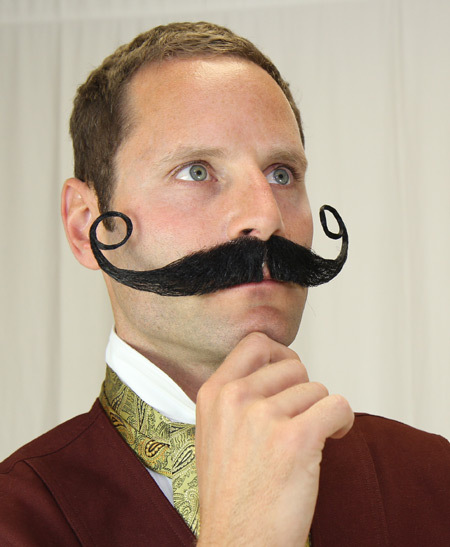 Revel in your new mustache as you ponder thoughts of deep significance.